Total 250 scholarship will be given for 11th students and 250 scholarship will be given for 12th students. Applicant parents must be ex service man for applying the scholarship. Education qualification: only regular studying student in class 11th or 12th class are eligible for this scheme whose score is at least 55% marks in High school. 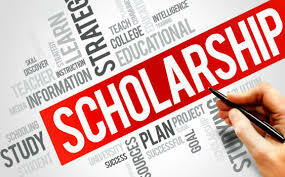 Applicant must not be enrolled in any other scholarship scheme. How to apply: applicant will attach ex service man discharge certificate / identify card with application form. Applicants are required to submit application form in prescribed application form format only.